Professor Malcolm Baird, son of TV inventor John Logie Baird and president of Helensburgh Heritage Trust, remembers the first broadcast. 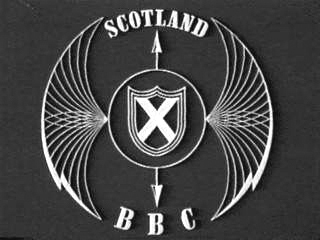 BBC TV Scotland opened in a wave of optimism on Friday March 14 1952, just a few weeks after the Queen’s accession. At that time I was a teenager on a scholarship at Fettes College, studying physics and chemistry and trying to avoid being maimed on the rugby field. The evening hours were mainly taken up by a study period — known as prep — followed by a do-it-yourself supper and lights-out at 10:15 p.m.sharp. On March 14, there came a short break from this spartan routine. Television was to be started in Scotland from a new transmitter at Kirk o’Shotts. 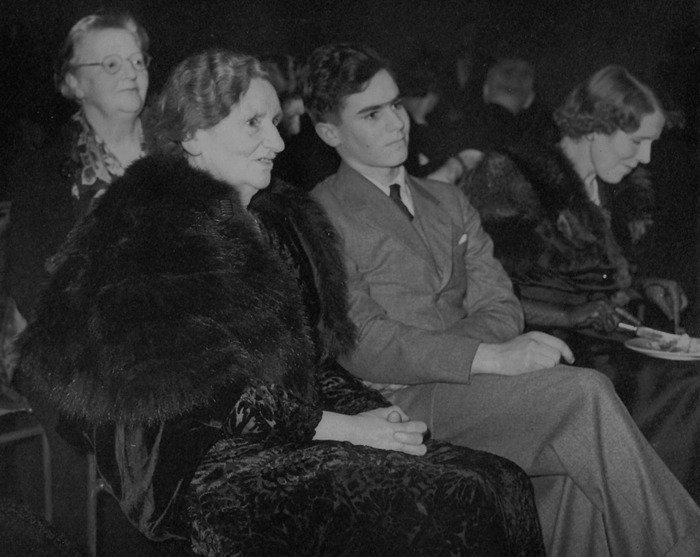 The BBC kindly invited the family of John Logie Baird to the inaugural broadcast from its Edinburgh studio. My mother declined, but my sister Diana and my aunt Annie Baird, John Logie Baird’s sister, came over from Helensburgh in a hired car for the occasion. I was given an evening leave of absence from Fettes and boarded a No.24 tramcar which slowly groaned its way up the steep hill from Comely Bank to the city centre. The BBC’s new television studios, grandly called Broadcasting House, were located at 5 Queen Street. The invitation had specified “Dress -- Highland or Dinner Jacket”. Guests included Scotland’s aristocratic and cultural elite (Highland attire), plus a handful of London-based BBC executives (Dinner Jackets) who had ventured to their new outpost in what they saw as the frozen North. In his speech opening the transmitter, the Secretary of State for Scotland, the Rt Hon James Stuart, found the time to put in a good word for John Logie Baird. This was followed by a Prayer of Dedication by the Very Rev Charles L.Warr, Dean of the Thistle and Chapel Royal. After a Vote of Thanks by James Miller, Lord Provost of Edinburgh, the stage was taken over by the first live television entertainment from Scotland: a performance by the Royal Scottish Country Dance Society, with Tim Wright and his band. By 8 p.m. the studio was off the air and the tension relaxed. A buffet was opened and glasses of wine appeared while the guests watched the rest of the evening’s programme from London, starting with Television Newsreel. Some of the elite came over and greeted the Bairds, but all too soon I had to leave. Aunt Annie pressed a half-crown coin (12 ½ p) into my hand with the proviso that I spent it on a taxi back to the school. Recalled after 60 years, the ceremony at Queen Street was a touchingly innocent and hopeful beginning. It was seen by a large audience in England but the Scottish viewing numbers were small, with only 2730 licence holders on record as of March 14 1952. In Helensburgh, John Logie Baird’s birthplace, there were just ten licence holders. Television has become a mass medium changing Scottish life and culture for ever, but it has been a mixed blessing. On the plus side, the old cathode ray tube sets with their small screens have been replaced by digital flat screens, with much larger and sharper pictures in colour. On the minus side, most of the small town cinemas in Scotland have closed; for example, Helensburgh has lost its two cinemas. Finally, BBC Scotland itself could soon be facing radical change, driven by political developments. None of this was foreseen in that bland little opening ceremony and the pious prayer of the Very Rev Charles Warr. "This is Scotland" was an hour of entertainment, anchored by James Robertson Justice, to mark the opening of STV on August 31 1957. This was a far more elaborate show than the little 30 minute segment at BBC Scotland marking the opening of their television in 1952. STV dispensed with dignitaries and there was no prayer of dedication, but instead a big variety show featuring singers and dancers and other celebrities including Alastair Sim, Ludovic Kennedy and Stanley Baxter. The STV programme has considerable Helensburgh interest, including Jimmy Logan in his prime, and a film clip from the south of France in which Deborah Kerr was interviewed with David Niven. John Logie Baird was not forgotten; James Robertson Justice paid him an elaborate tribute and showed a replica of the early 'Televisor' set. For me the most poignant part of the show was the appearance of Jack Buchanan in the inevitable top hat and tails; rather incongruously he led the audience in a chorus of "I belong to Glasgow". This Youtube item is strongly recommended as a piece of living Scottish entertainment history.